The traditional elliptical vibration cutting (EVC) approaches have been widely employed in cost-effectively machining various complex optical surfaces on many difficult-to-cut materials, but the stiff usages of fixed phase difference and constant vibration frequency will have great limitations on improving performances and extending applications. 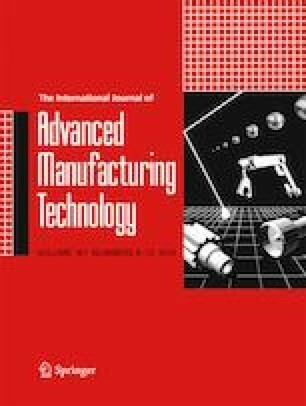 Therefore, this paper will firstly concentrate on the innovations of a novel type of elliptical vibration cutting with a different frequency (DF-EVC) for several significant benefits, such as improving finish quality, extending tool life, and suppressing scattering effect. As modifications of DF-EVC, another novel type of elliptical vibration cutting with a varying phase difference (VPD-EVC) will be further developed, which can effectively enhance the machining capacities of DF-EVC processes by changing their unfixed phase differences within an available angle range. Beyond the conventional applications, like machining the microstructure and freeform surfaces, the improved VPD-EVC approaches can be elaborately adopted to fabricate two different microgrooves with U-shaped and V-shaped cross-sections, which integrate the high-frequency elliptical vibrations into the cross-feed motions instead of the up-feed motions of traditional EVC. In addition, the mechanism of how the VPD-EVC extends tool life will be discussed in detail, and the dependences of machining capacities to the phase difference amplitudes will be investigated by introducing a dimensionless relative cutting ratio (RCR). Subsequently, the toolpath generations and surface topography simulations of VPD-EVC will be performed and compared to traditional EVC; the suppressing capacity of the scattering effect will be further investigated based on the power spectral density (PSD). Finally, a series of cutting experiments will be practically conducted on the copper materials (T2) with poor machinability, the obtained results can well demonstrate the feasibility and effectiveness of the developed DF-EVC and VPD-EVC approaches for achieving various expected benefits, and several crucial conclusions on current research can be briefly summarized in the end. The authors are very grateful to the China Postdoctoral Science Foundation (2017 M621205).